Directions In a saucepan, saute onion in butter until tender. Stir in flour and salt until blended. Slowly stir in milk . Bring to a boil; cook and stir 2 min or until thickened and bubbly. Stir in spinach and salsa.Then stir in 3/4 cup of cheddar and transfer to a 8-in. square baking dish. Sprinkle with rest of cheese. Bake at 350 uncovered for 20 to 25 min or until heated through. 1. Place Peach Dressing in a large bowl. Peel cucumber at 1/2-inch intervals, leaving some strips of peel; halve lengthwise. Remove seeds, and slice diagonally. Add cucumber, tomatoes, onion, 1/4 cup basil, 1/2 teaspoon salt, and pepper to dressing. Toss well; let stand 3 minutes. 2. Arrange salad on a platter; sprinkle evenly with remaining 1/4 cup basil and remaining 1/2 teaspoon salt. 1. Combine first 4 ingredients in a large bowl, stirring with a whisk. Let stand 15 minutes, stirring occasionally. Add oil slowly, stirring with a whisk until blended. So let's look at TURKEY from an Australian point of view! Meat is a valuable source of protein and other nutrients. But when it comes to a healthy diet, it's important to choose the right kind of meat and eat the correct portion size. The Australian Guide To Healthy Eating recommends we eat one serving of meat per day, the equivalent of 65 to 100 grams of cooked meat. Turkey meat is sold in various forms, including whole, prepackaged slices, breast, thighs, mince, cutlets and tenderloins. Turkeys are not native to Australia (today's domestic turkey is a descendant of the wild turkey native to northern Mexico and the eastern US) and turkey farming is significantly different from other poultry farming. However, turkey consumption is growing. This year each Australian will have consumed an average of 1.7 kilograms of turkey meat, and the Australasian Turkey Federation estimates this will grow to 2.5 kilograms by 2011. Turkey is a rich source of protein. Skinless turkey is low in fat. White meat is lower in kilojoules and has less fat than the dark meat. A typical turkey consists of 70 per cent white meat and 30 per cent dark meat. Turkey meat is a source of iron, zinc, potassium and phosphorus. 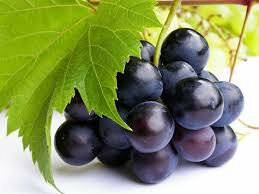 It is also a source of vitamin B6 and niacin, which are both essential for the body's energy production. Turkey contains the amino acid tryptophan, which produces serotonin and plays an important role in strengthening the immune system. Turkey can be high in sodium. Some meat, particularly prepackaged slices, can be processed and contain other substances. Turkey skin is high in fat. Research suggests large amounts of tryptophan can make you sleepy. If you can, buy organic. Turkeys raised organically will have been treated humanely and are less likely to contain pesticides and herbicides. Look for meat that is supple. A turkey roast is cooked properly when it is piping hot all the way through. If marinating turkey meat, put it in the fridge straight after you've finished, as it is highly sensitive to heat. Store turkey separate from any gravy, stuffing or raw food. All before the arrival of the human, the salt water was separated from the fresh water, dry land was made, gardens were planted with fruit bearing trees and animals and fish were made. The planet already had what we needed before we were created! Nature provides us with everything we need and the less we interfere with it, the better it is for us! Check out these amazing 'Nature's Pharmacy' items that are available to us! 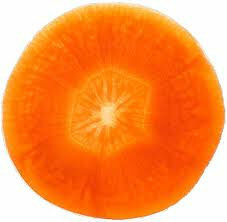 A sliced carrot looks just like a human eye. You can see the pupil, the iris and even the radiating lines. And, YES, modern science has shown that the nutrients in carrots greatly contribute to the health of the eye..
A walnut looks like a little brain, a left and right hemisphere with upper and lower cerebellums. 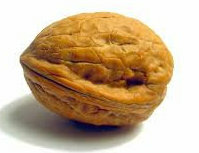 Even the 'wrinkles' on the nut are just like the neo-cortex. We now know walnuts help in the formation of more than three (3) dozen neuron-transmitters for brain function. 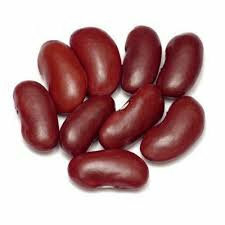 Kidney beans actually help heal the kidney and maintain it's function. And yes! They look exactly like the human kidneys! Celery and bok choy look like bones. These foods specifically target bone strength. Bones are 23% sodium and these foods are 23% sodium... If you don't have enough sodium in your diet, the body pulls it from the bones, thus making them weak. These foods replenish the skeletal needs of the body. Conclusion? stick with natures abundant natural and unprocessed foods in order to get the best health benefits possible! Welcome to Healthy Tips & Recipe Blog by Gilad - blog by Fitness Hall of Fame member Gilad. We're proud to announce that we will be sharing instructor Gilad's Healthy Tips & Healthy Recipes now on Collage Video's Blog and Forum! Right here, we will be sharing Fitness Tips and Healthy Recipe's by Gilad. ﻿Here you will find tips from Gilad in relation to health and fitness. Cook peppers, onion and zucchini in med. non stick pan till water is absorbed. Heat large nonstick frying pan and spray with olive oil spray over medium heat. Add egg whites in a thin layer. When whites start to cook add the mozzarella cheese. When almost done add the rest of ingredients to center of pan, fold over and cook until all is hot. Serve with whole grain bread.